Scenic beauty of the Niagara River, 7450 yards of championship golf over 18 holes, and Arthur Hills design create the 225 acre golf club known as the Niagara River Golf Club in Niagara Falls Ontario. Reminiscent of the famed Augusta National Golf Club, Arthur Hills created his flagship of golf courses in Canada with the Niagara River Golf Club. The 18 holes of championship golf provide a challenge with mature woodlands, wetlands, exceptional panoramas that compliment the beauty of the Upper Niagara River and pristine gardens on the lush landscape. 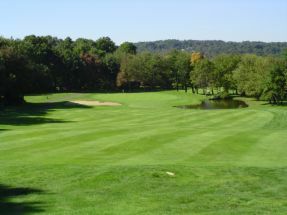 This golf club is situated in Fort Erie, only minutes from the Falls, United States, all of the attractions and hotels in Niagara and a short drive to Toronto.